What are the last 4 digits of your Social Security Number? What is the sum of those 4 digits? Now multiply them all ... Can you create a formula to combine all those 4 digits to reach a magic number say, 24, using simple math? Welcome to Crunch! (formerly game 24) brought to iPhone/iPod from a popular street game played between 2 players. 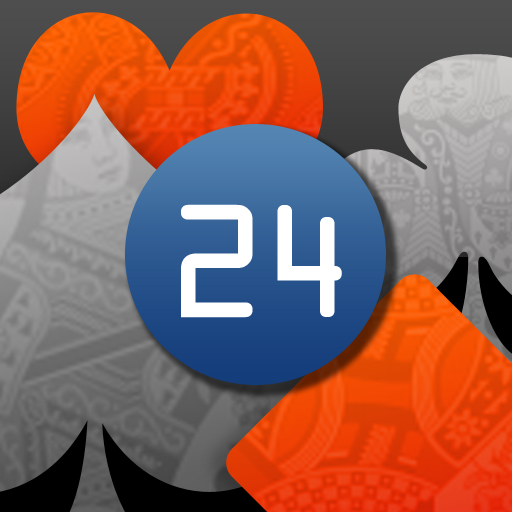 4 cards will be dealt face-up; whoever creates a formula using all 4 cards to hit 24 wins the round. 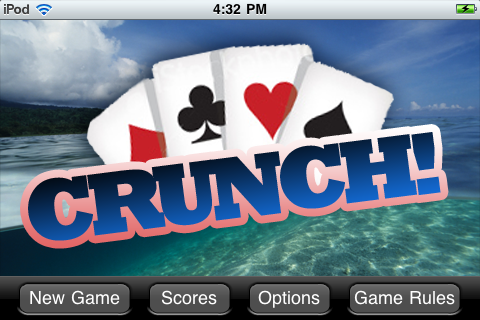 You'll be playing against a cunning opponent, your iPhone/iPod. Solve as many puzzles as you can within the time limit and plaster the scoreboards with your awesome achievement! Next time when you play any card games, you will be lightning fast to figure out all kinds of strategies! This is a great game for both kids studying basic math as well as for adults sharpening number crunching skills. Still think you can't do math in your head? now you can!